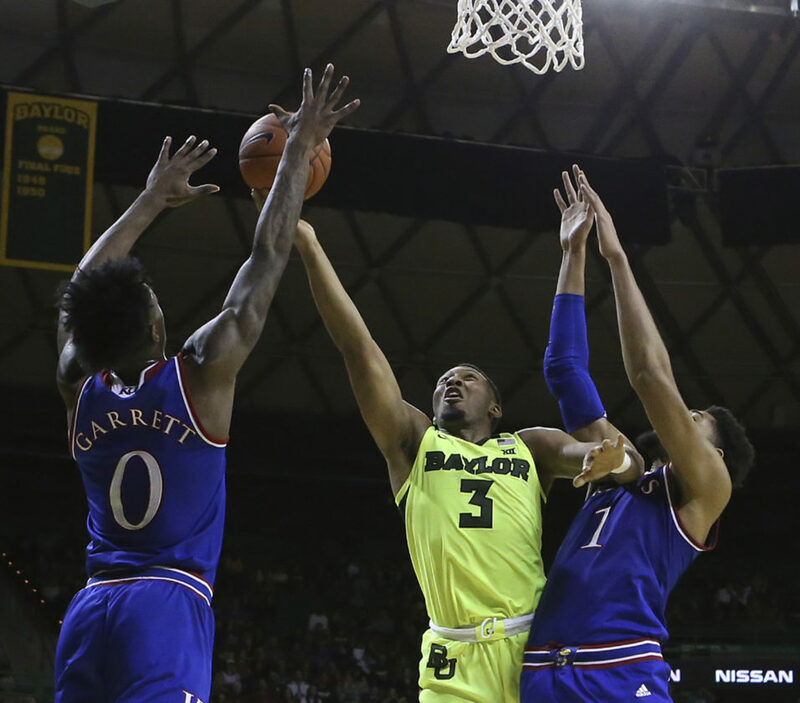 Waco, Texas — In the midst of his ongoing evolution to become the total basketball player that Kansas needs him to be, Dedric Lawson made some headway in a bit of uncharted territory Saturday afternoon at the Ferrell Center. A redshirt junior, Lawson has proven time and again that he can score from most spots on the floor, drive and spin his way to easy baskets, and attack the glass as well as any big man in the Big 12. 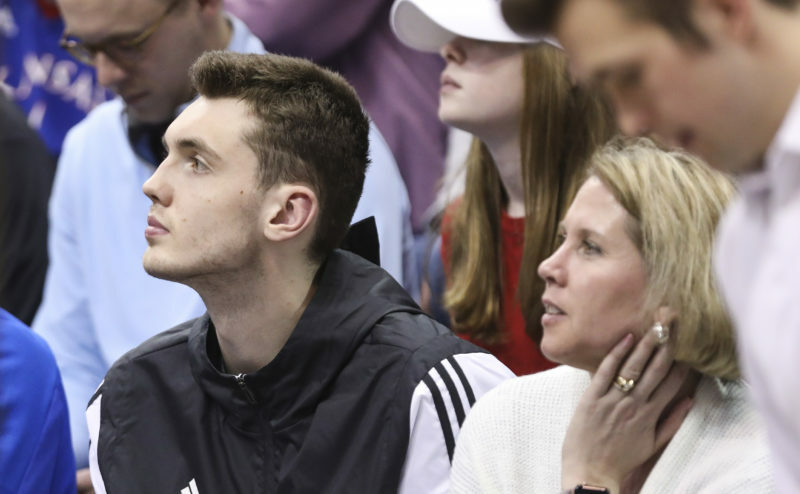 And even though the Jayhawks’ 6-foot-9 forward didn’t exhibit his skill set in its totality against Baylor, he grew as a player by showing he’s willing to do more defensively. Stopping post players or drivers in the paint never has been a strength of Lawson’s. 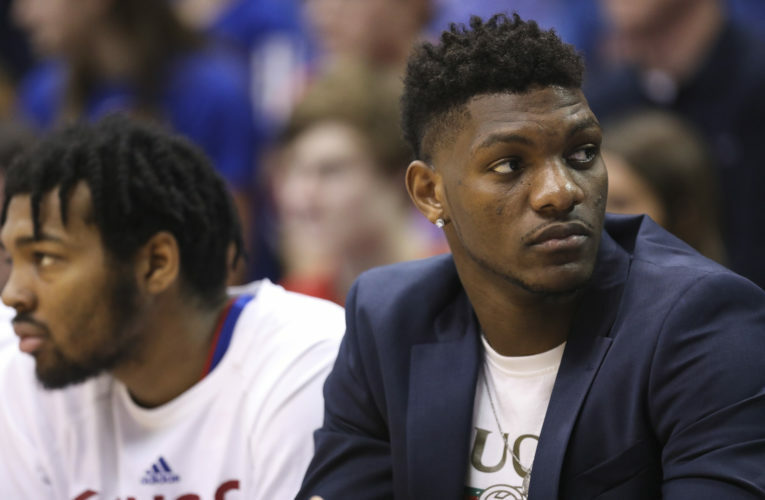 Yet, during much of KU’s 73-68 victory at BU, the most talented offensive player in a KU uniform demonstrated he’s far from a lost cause on the opposite end of the floor. When the Bears entered the paint and tried to attack Lawson, he didn’t backpedal or put forth some guise of a contest. The big man positioned himself to bother would-be BU scorers and often took his under-the-rim protection to another level by getting his hands on the ball. By the end of the Jayhawks’ first road victory of the season, Lawson had a season-high five blocks and career-best five steals to go with his 17 points and three rebounds. Freshman point guard Devon Dotson noticed the defensive gains from Lawson, as well. “Yeah, he was great. You know, he really battled down there and made hustle plays and it showed today,” Dotson said. Baylor (9-6 overall, 1-2 Big 12) only shot 14 of 44 on 2-pointers and turned the ball over 14 times, in part, because of Lawson’s improved approach as a defender. 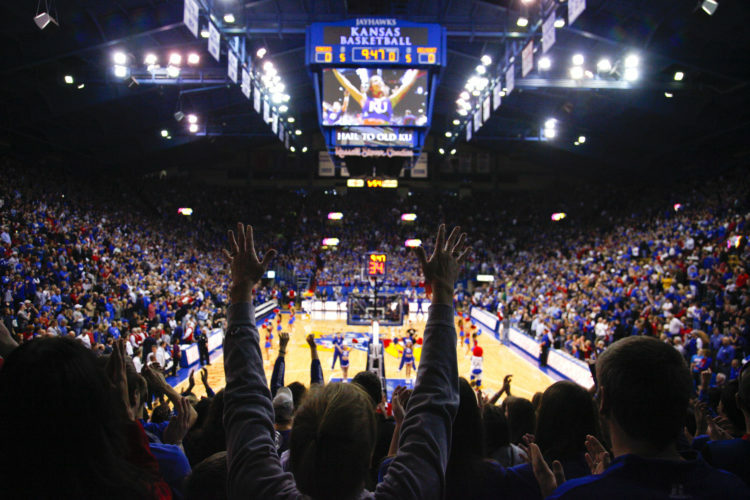 His hands routinely found their way in the path of Bears shots and passes, and if they hadn’t, the Bears would have done far more damage than they inflicted while outscoring KU 32-24 inside. Lawson’s not going to be the physical presence 7-footer Udoka Azubuike was, nor athletic enough to turn into a shot blocker. And he’s no fool, either. 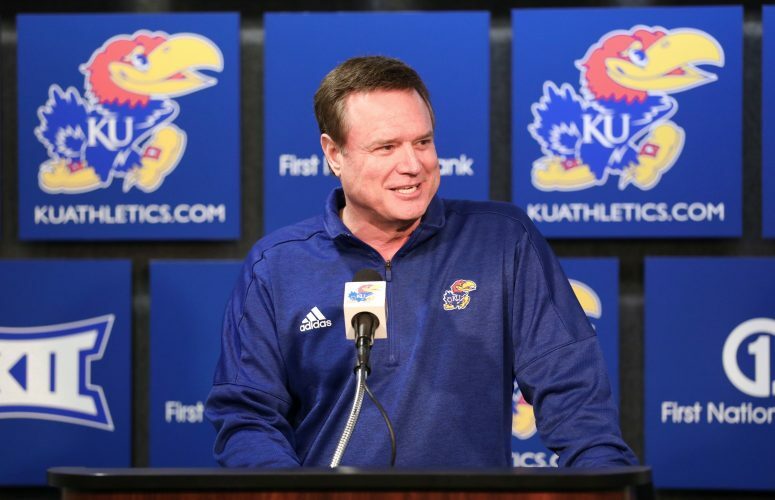 Lawson knows he has a long way to go, and he took it upon himself during the postgame press conference to change the subject from his defensive progress to KU’s inability to keep Baylor off the offensive glass. As one would anticipate, KU coach Bill Self wasn’t extolling Lawson’s defense or overall liveliness on that end of the court after the win. Asked whether Lawson was more involved as a defender, Self pointed to one area where the junior didn’t deliver. Typically, when KU (14-2, 3-1) gets stops on defense, Lawson is the most likely Jayhawk to conclude it with a rebound (averaging 7.7 defensive boards a game). That didn’t mean Baylor’s 26 extra chances (resulting in 14 points) were all about Lawson coming up short where he often thrives. Part of what makes Lawson great is that he doesn’t get complacent. He knew he had to become a better defender, so he put forth more effort and came through with a Landen Lucas impression that he needs to keep perfecting. Simply being in position, walling up and extending his hands high above his head can go a long way, as Lawson discovered at Baylor. 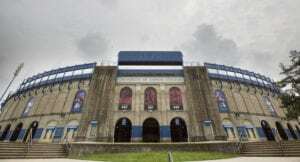 He’s adding to his game the deeper KU gets into its season, and the more Lawson picks up, the easier it will become for him to put all the pieces together. 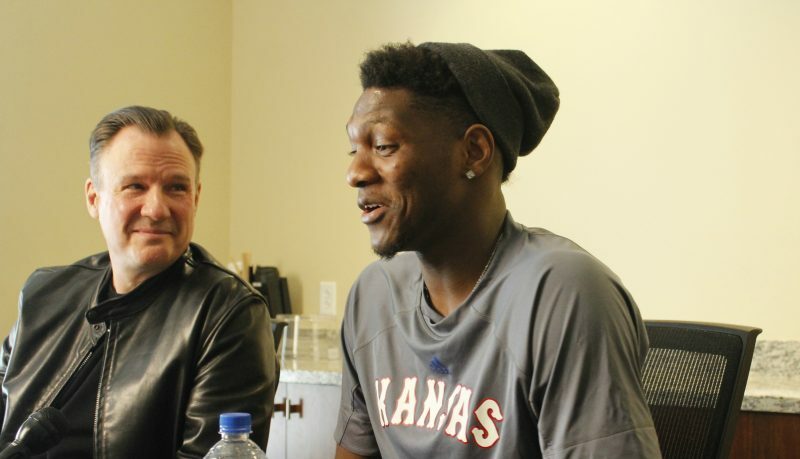 Lawson has it in him to do it all: carry KU’s offense, control the glass and play smart, effective defense. The next step in his development will be fulfilling those responsibilities in unison.